I have a confession to make—a pride confession at that. I don’t regularly look down on others. I would even argue that compassion and a connection with my fellow human beings is my fallback sentiment. To whom much grace is given, much is required. But there is a surprising place where the ugliness of pride rises up in me. The grocery store parking lot. You see, I’m one of those who feels that returning the cart to the little cart stable is a matter of responsibility. 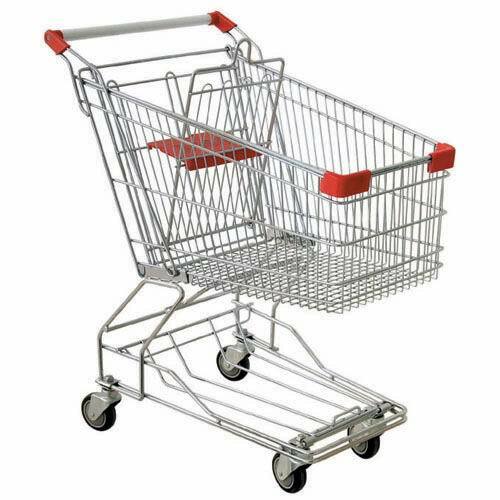 I feel oh-so-noble as I push my cart to the corral, glancing left and right to see if my good-citizen lesson is being sensibly absorbed by others. I am doing my civic duty. I am putting away what I’ve taken out. So last night, when I ran out to get milk before the snow came, my pride at my superior cart maintenance was runing at full throttle. After I’d put the groceries into my van, I started walking the cart to its happy little pasture. I had to go up and over the median-sidewalk that stood between me and my task. I got the up part alright. And in truth, I got the over part okay. It was the down the other curb part that caused a problem for me. The cart went easily down the curb but instead of rolling forward (as any decent cart would have), it sort of spot-welded to the blacktop and didn’t budge. I, on the other hand, continued forward onto the now tipping cart, and ended up suspended on top much like a turtle on a fence post. Pride, indeed, wenteth before the fall. But after the fall, pride was like SO gone. Onlookers were uncertain whether to laugh, run forward in rescue mode, or look away to spare me the embarrassment. Thankfully, they chose the latter, or they had at least looked away by the time the turtle managed to work her way down from atop the cart. I’m sore in 17 different spots. I’m only glad it was dark and can thus hope that the security cameras won’t be able to make out my face. Although my face was not the part shining up at the camera anyway. I shudder to think at the headlines on our small town newspaper tomorrow. Reminds me of the time I tripped over nothing on the sidewalk in front of our local pharmacy and did a face plant. God does have ways of keeping us humble, yes? Sorry about your unfortunate encounter with the cart. Being somewhat vertically challenged, it was probably even worse i.e. feet waving in the air. I think I’m just the right height for it to be comically tragic. If I were any shorter (heaven forbid) I would have simply bumped into the cart. If I were any taller (stuff of my dreams) I would have tripped over the cart and sprawled up and over. More danger to be sure. But I was JUST the right height to land atop with. . .as you say. . .feet waving in the air. Big sigh.